We adore Micky & Stevie's little range of children's table lamps!! Children play in silhouette, dancing with their animal friends in the forest! 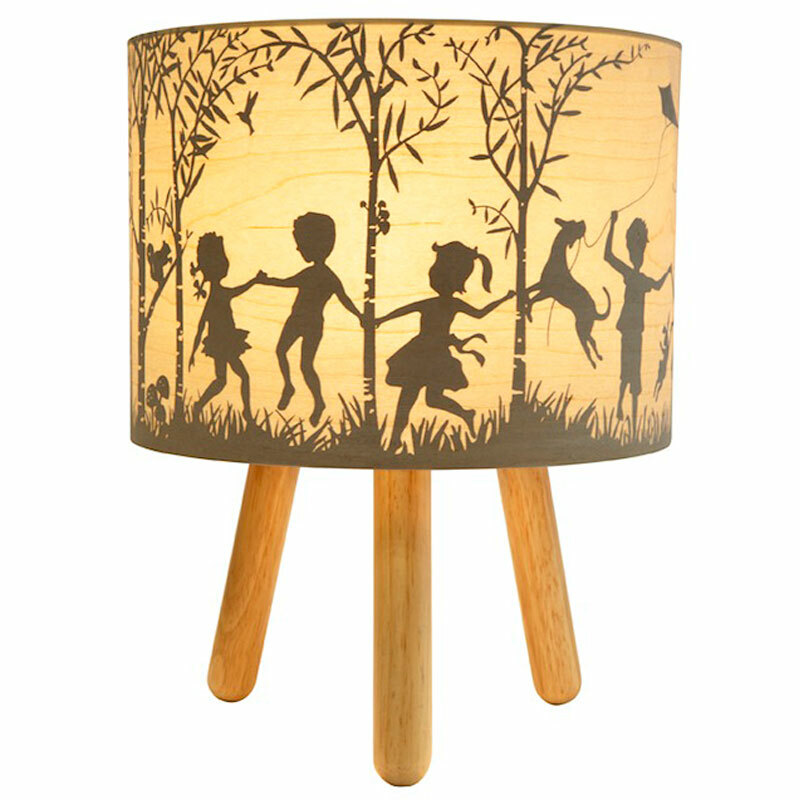 The gorgeous image is printed on the inside of the cylindrical timber shade and when turned on, the lamp looks magical! Perfect for a child's bedroom or a family living space. * In The Woods Timber Table Lamp ships as a large parcel and does not qualify for FREE SHIPPING offers.